Treat yourself or a special someone to an at-home spa experience this Christmas. The perfect gift for those who love to be pampered, the NUXE Luxury Prodigieux Set combines a soothing shower oil and multi-tasking dry body oil with an energising fragrance. Specially formulated with a unique cocktail of Vitamin E and six precious plant oils – Camellia, Hazelnut, Borage, St John’s Wort, Sweet Almond and Macadamia – the oil offers ultimate hydration to leave skin sumptuously soft and hair ultra-glossy. The addition of deeply nourishing Tsubaki Oil creates a free-radical fighting shield, helping to combat daily pollutants that can lead to cellular deterioration and signs of ageing. 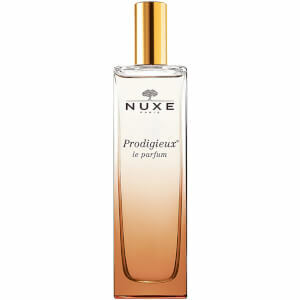 An oriental scent with top notes of orange blossom, bergamot and tangerine, the Prodigieux Le Parfum (50ml) from NUXE is a beautiful fragrance that has been born from the iconic NUXE Huile Prodigieuse. An enigmatic scent that is both heady and warm, this perfume is finished with base notes of rose, gardenia and magnolia making it a scent that is perfect for both day and night. Suitable for all skin types, this luxurious shower treatment cleanses skin to remove excess oil, dirt and impurities and leave a satin finish. The luxurious formula delicately fragrances skin with the brand's Huile Prodigieux® scent of Orange Blossom, Magnolia and Vanilla. The whole body will be soft, supple and silky-smooth from top to toe. Huile: Use all year round, summer or winter for face body and hair. Perfume: Spritz around your neck and on your pulse points. 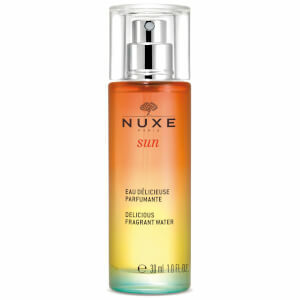 Shower Oil: Apply in the morning and/or evening to moist skin and then rinse. Huile: Aqua/Water, Sodium Lauroyl Sarcosinate, Cocamidopropyl Betaine, Coco-Glucoside, Glycerin, Parfum/Fragrance, Hydroxypropyl Guar Hydroxypropyltrimonium Chloride, Glyceryl Laurate, Sodium Chloride, Benzyl Alcohol, Acrylates/C10-30 Alkyl Acrylate Crosspolymer, Phenoxyethanol, Glyceryl Oleate, Sodium Gluconate, Citric Acid, Eichhornia Crassipes Extract, Sodium Benzoate, Dehydroacetic Acid, Caramel, Fagraea Berteroana Flower Extract, Hydrogenated Palm Glycerides Citrate, Tocopherol, Benzyl Salicylate, Limonene, Linalool, Geraniol, Citronellol [N2611/A]. Perfume: Alcohol Denat., Fragrance, Benzyl Salicylate, Linalool, Limonene, Citronellol, Geraniol, Benzyl Alcohol, Benzyl Benzoate, Citral, Water.